Well, what a wonderful week it’s been….and for me, the best week this year so far. 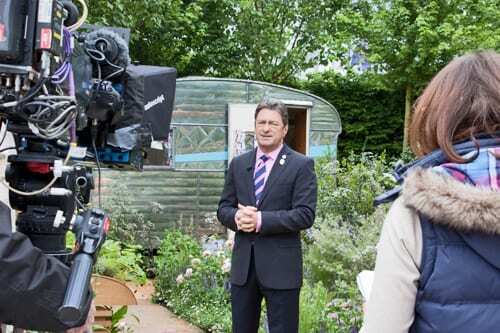 I’ve been very privileged to attend the RHS Chelsea Flower Show on more than one occasion and am finding it a little difficult to put into words what an amazing time I’ve had. On Sunday, I visited the show to take some photos of English Garden Joinery‘s stand…the company who made the dog kennel for Jo Thompson‘s show garden. Whilst there, I also popped over to Jo’s garden to take photos for Flowerona blog posts and also my guest post for the Laura Ashley blog. And I took along some home-made chocolate brownies to give to Jo and her team…to keep up their energy levels, whilst they were working on the garden. When I set my goals for Flowerona back in January, attending the Press Day at the show was at the very top of my wish list…so you can imagine how thrilled I was to be invited. I was up at just gone 5am and at the showground by just gone 7am, with camera and tripod in tow. 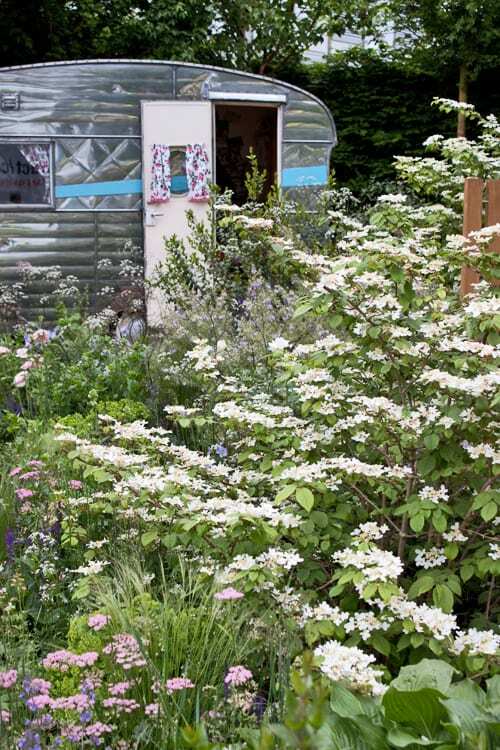 After taking photos of some of the show gardens, I popped over to see Jo and Doris the caravan, plus sample a delicious summer punch made by Mark Diacono. 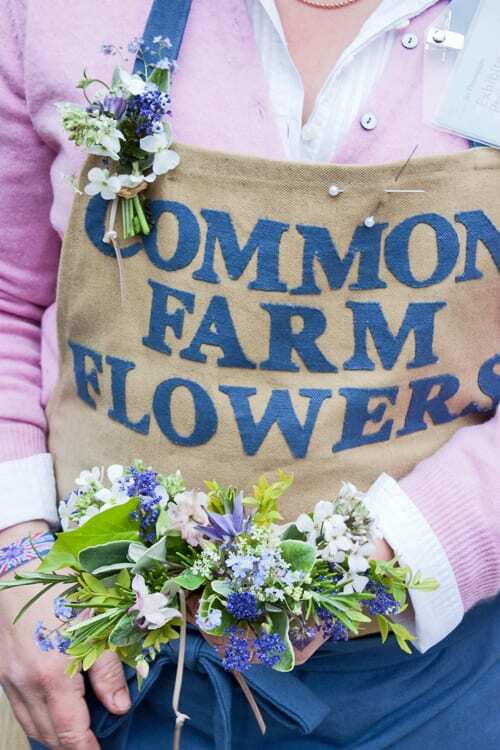 Georgie Newbery of Common Farm Flowers was giving out gorgeous corsages to everyone who visited Jo’s garden. 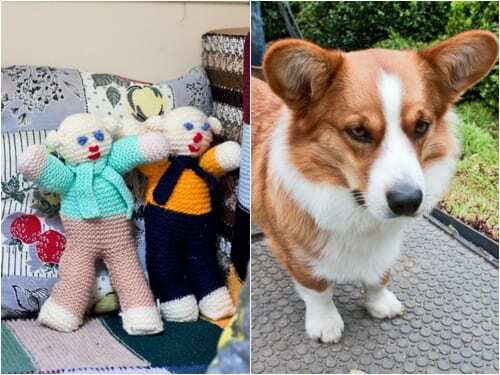 I couldn’t resist including these photos below of two little people who were keeping Doris guard and Cawdor the corgi who made himself at home in Jo’s kennel. There’s a picture of him with Jo in my blog post from Tuesday. There were lots of celebrities at the showground on Press Day. I saw Ringo Starr, Roger Daltrey, Anneka Rice, Esther Rantzen, Floella Benjamin, Jennie Bond, John Craven, Laurence Llewellyn-Bowen, Matthew Williamson, Nick Knowles, Nigel Havers, Raymond Blanc and Rob Brydon. 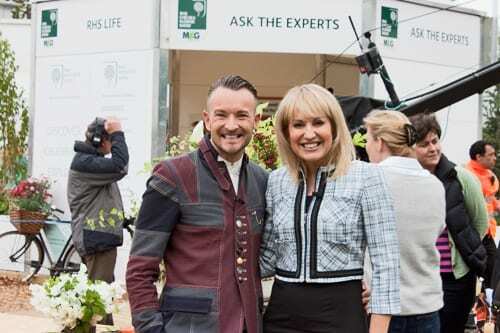 And here’s a picture of florist Simon Lycett and presenter Nicki Chapman after they’d just come off air from the lunchtime Chelsea programme on BBC1. I also interviewed Andy McIndoe, MD of Hillier Nurseries and Garden Centres and will be featuring it on Flowerona soon. Attending the Press Day was a wonderful opportunity to meet up with people who I follow on Twitter and to be introduced to some new faces. …meet Nina Baxter, Petra Hoyer Millar, Susan Entwistle, Sarah Caswell, Emma Dewhurst, Arne Maynard, Lydia Evans, Jane Powers, Laetitia Maklouf, Clare Foster and Leigh Clapp. …and catch up with Lisa Cox, Michelle Chapman, Liz Anderson, Nikki Tibbles, Jonathan Moseley, Simon Lycett, Hannah McVicar, David Ragg and Caroline Marshall-Foster. All the press had to leave by 3pm, before the Queen arrived. So I went home and started processing all the 300+ photos I’d taken. On Tuesday morning, photographer Clive Nichols very kindly invited me to attend a photo shoot at Daphne’s restaurant in London. You can read all about it in this blog post. I then travelled back home, wrote some blog posts and answered some urgent emails, before coming back into London to attend an evening function at the RHS Chelsea Flower Show. 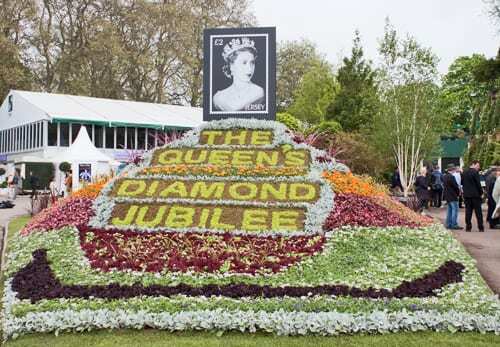 Up early again…I’d bought a ticket to the RHS Chelsea Flower Show, in case I didn’t manage to get into the Press Day. In the morning, I took photos inside the Great Pavilion. It was also lovely to meet up with Carmel Meade, who designed and made the beautiful hammock for Jo’s garden. In the afternoon, I went on a guided tour of Chelsea in Bloom, where the shops around the show create beautiful floral window displays. 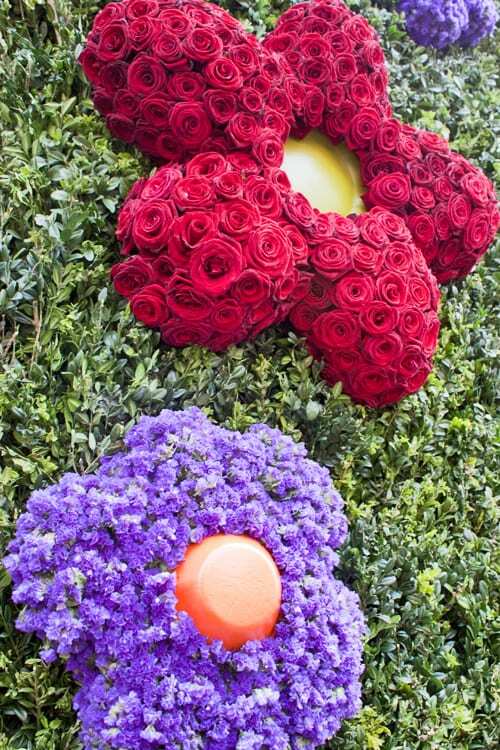 I’ll be featuring my photos on Flowerona soon, but here’s a sneak preview of DoDo‘s design, created by Simon Lycett. The only day I didn’t go to Chelsea…so a chance to recharge my batteries, write some blog posts and deal with urgent emails. Plus visit the supermarket as the cupboards were bare and do some washing! Invited by Interflora, I was up early again to visit Chelsea. This time to interview David Ragg, one of the florists who designed their stand. I’ll be featuring the interview and images of the stand on Flowerona soon. And whilst in the Great Pavilion, I took some more photos of the stunning flowers on display. It was also lovely to spend time chatting to Lisa Cox and Jo Thompson, meet up with Fiona Humberstone and Carole King, plus meet Jim Hillier. 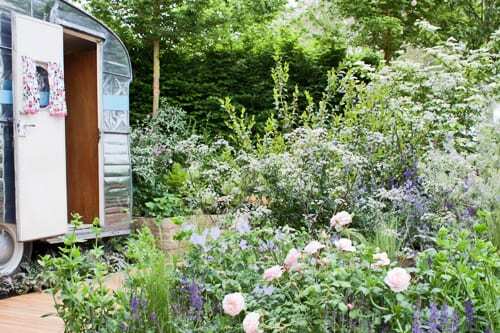 The most popular blog post was RHS Chelsea Flower Show – Jo Thompson’s Show Garden for The Caravan Club : Part 5. 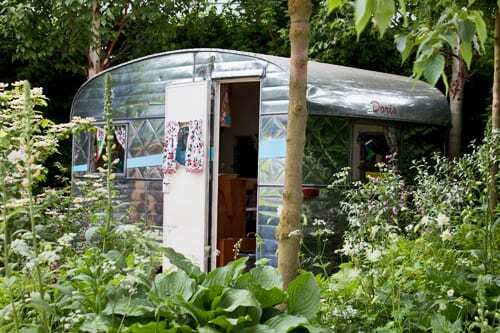 For Laura Ashley’s blog, I wrote a blog post called Glamping at Chelsea Flower Show, featuring Jo’s show garden with Doris. 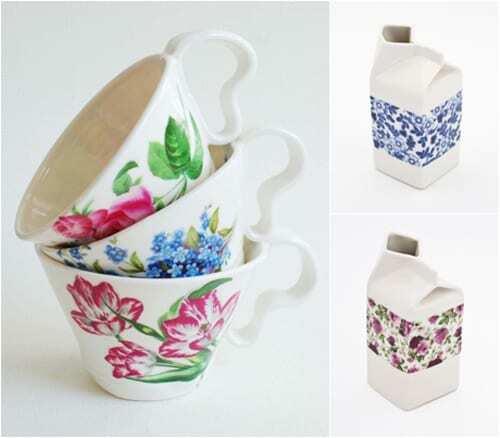 On the Heart Home blog, I featured Milk jugs and tea cups with a floral twist from Hanne Rysgaard Ceramics. I’m missing these out this week…but they’ll be back next Saturday. So, I hope you’ve enjoyed reading today’s blog post. It’s been a hectic seven days, but I wouldn’t have had it any other way. I apologise if you’ve sent me emails and I’ve not replied yet…I hope to catch up next week. Wishing you a lovely weekend…and if you’re in the UK, enjoy the glorious weather we’re having at the moment. It was so lovely to see you yesterday Rona and an inspiration to see such a pro in action! You’ve worked so hard this year and you really deserved that amazing week. Have a restful weekend. Yes, this week has been FABULOUS. I met Jo Thompson on her gorgeous garden. She is a lovely lady and her garden was divine. I’d love to know why it missed Gold! I have so enjoyed your blogs and images this week. 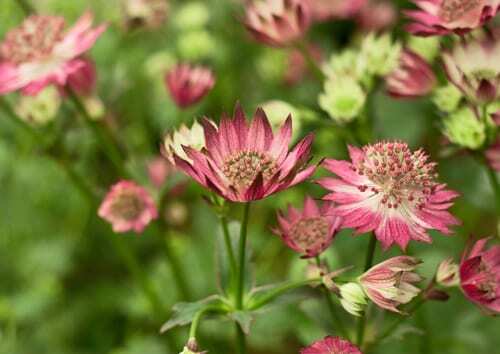 It’s always lovely to see Chelsea though the eye s of others – I loved all the Astrantia that seemed to be around this year also! Sarah Ravens garden at Perch Hill was open on Wednesday and looking fabulous too…. Indeed a stunning week, and the sun shone as well! Hi Karen. Thank you so much for your comment. I’m really glad that you had chance to meet Jo at the show :-).